Learn how to play the songs by Leonard Cohen note-for-note on guitar with The Leonard Cohen Guitar Lessons. Each lesson includes the playthru, video lesson, songsheet with chords and tab. 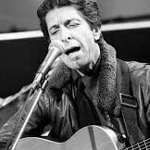 Leonard Cohen, along with Bob Dylan, still ranks as one of the most important folk-poets, not just of the 60’s folk revival but of all popular music. Playing a nylon string guitar exclusively, he has rather unique style of playing that focuses almost exclusively on standard chord shapes but can invlove some pretty intricate fingerpicking. The lessons (with the exception of Suzanne) are also taught on a nylon string but they’ll work on a steel string guitars just as effectively. Learning these songs you’ll get a deep insight into how Cohen constructs his songs and how he uses repetitive accompaniment patterns to set a mood that won’t detract from the lyrics. 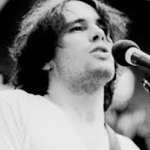 As well as the Leonard Cohen songs we include Jeff Buckley’s astonishing version of the great Hallelujah. That one’s taught on electric because that’s how Jeff played it.